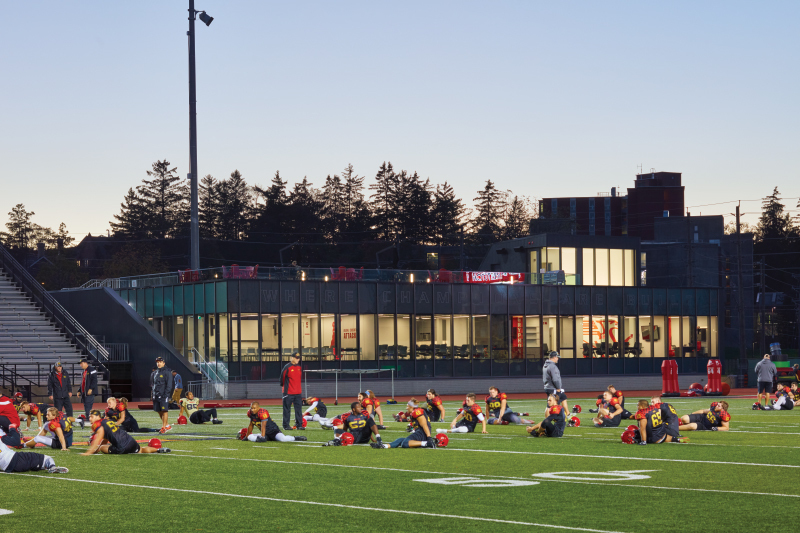 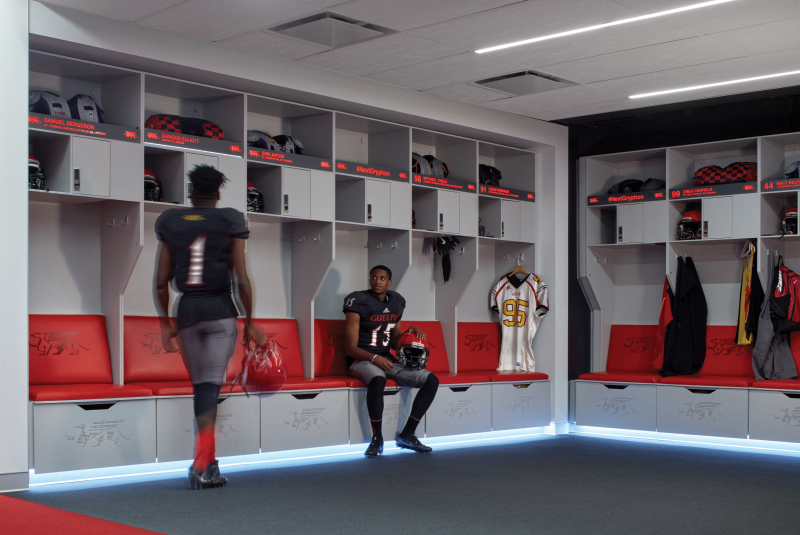 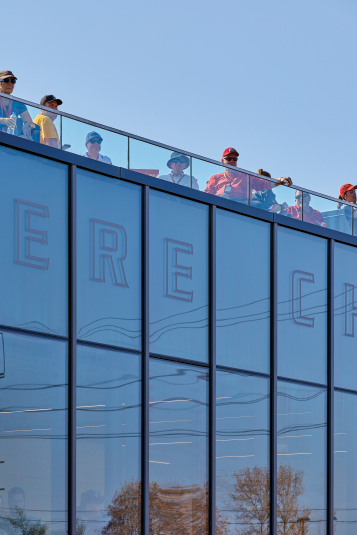 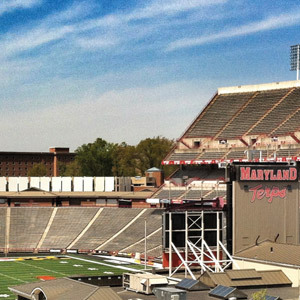 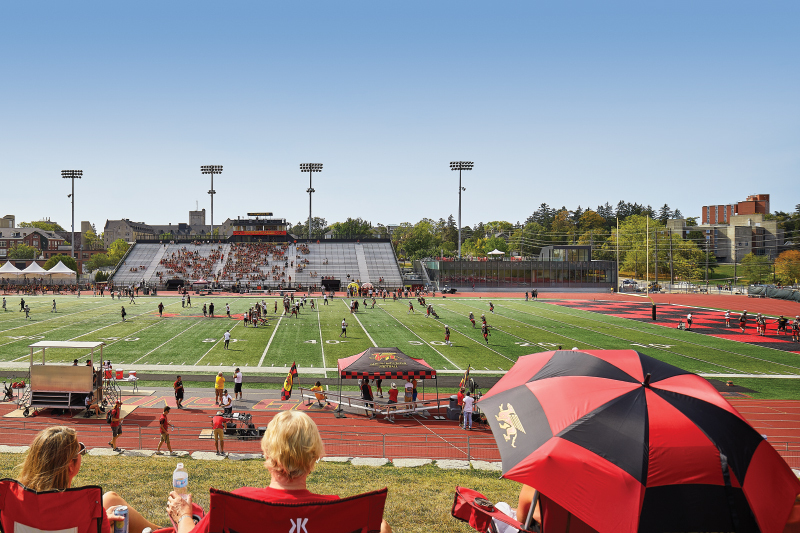 Alumni Stadium, designed to support and revitalize the Guelph Gryphons’ football program. 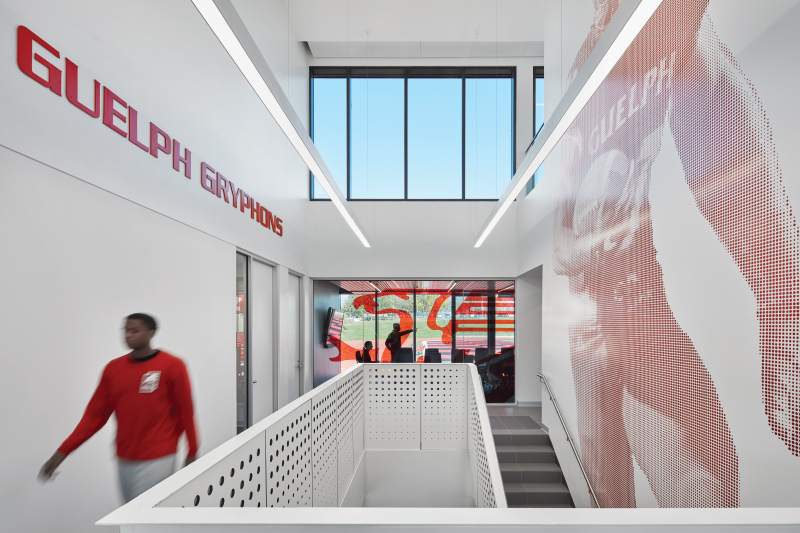 It consolidates training, therapy and administrative facilities, allowing coaches and players to train, learn and collaborate under one roof. 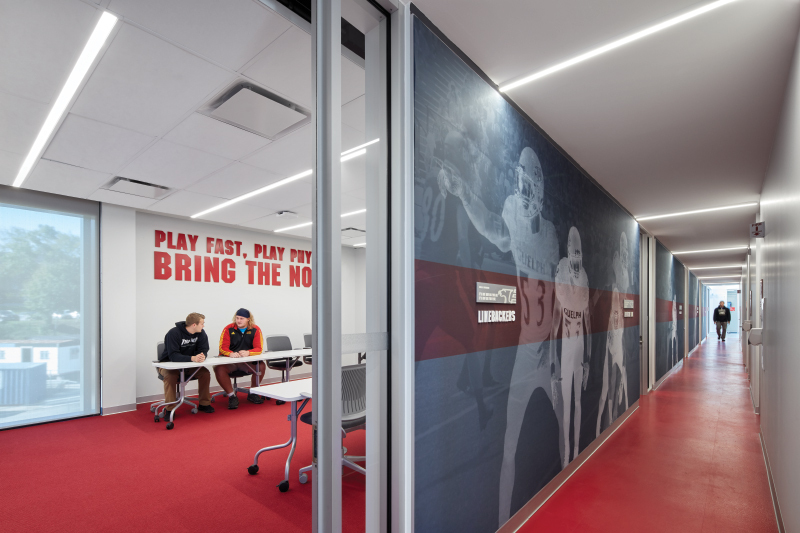 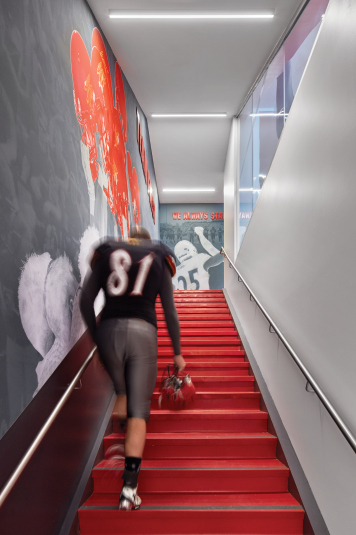 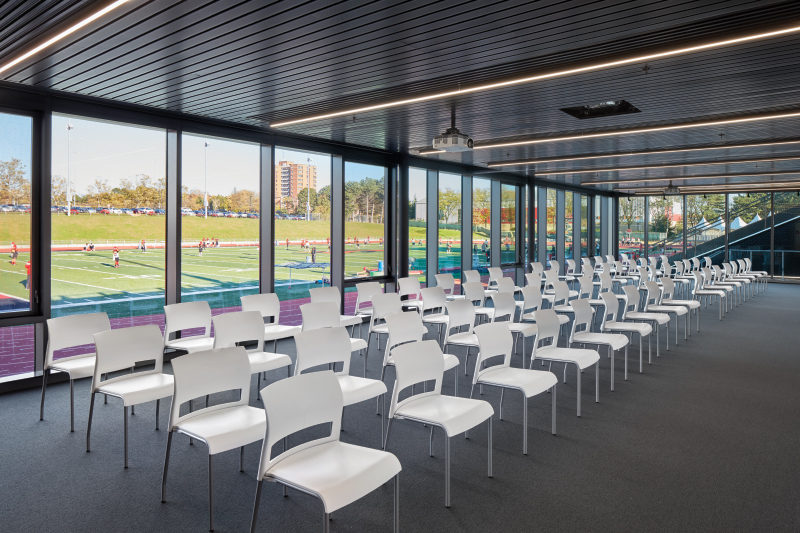 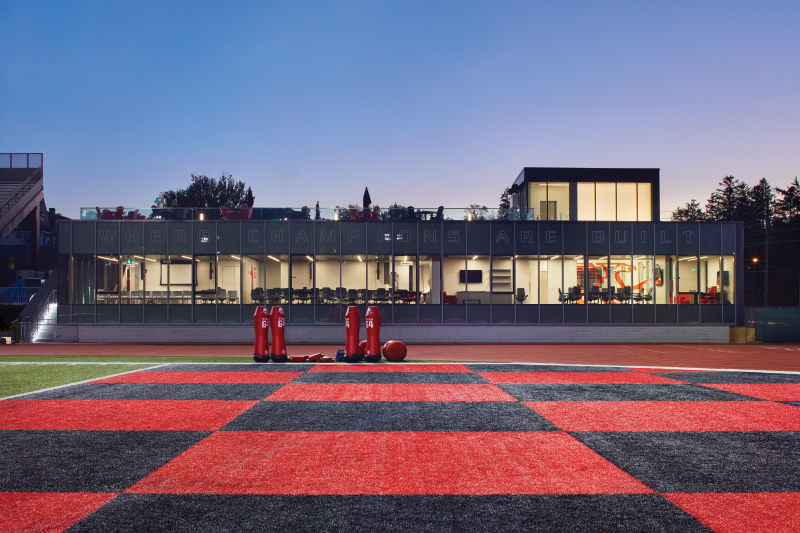 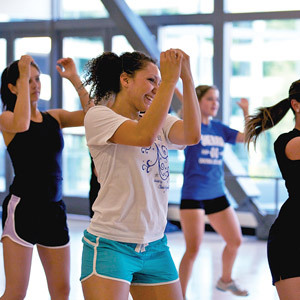 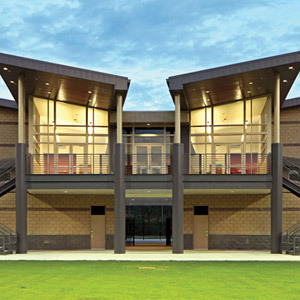 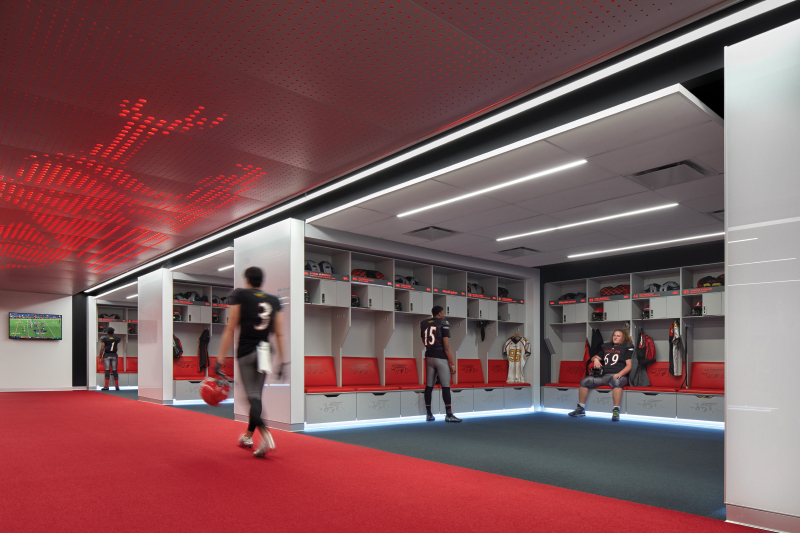 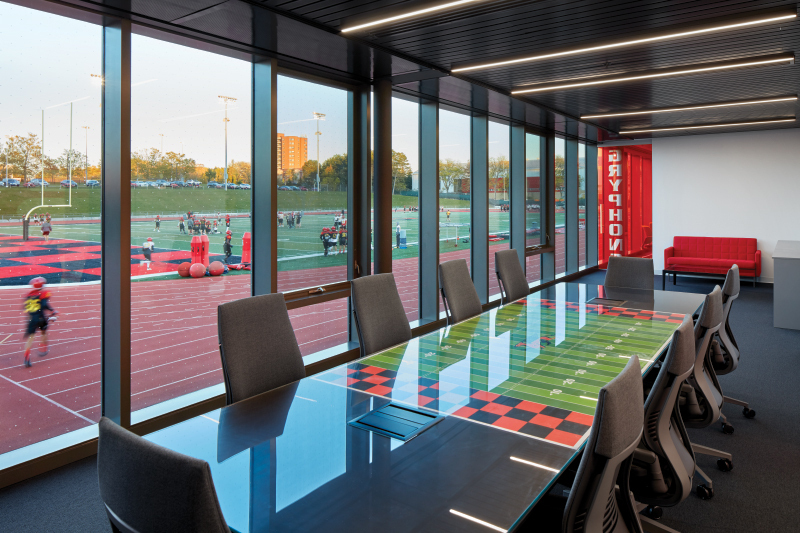 The ground floor consists of team-focused program spaces, including a sauna, a player’s lounge with a kitchen and study spaces, a state-of-the-art locker room featuring custom Corian lockers, hot and cold therapy pools featuring Gryphon mascot mosaic son the walls, and a rehabilitation room. 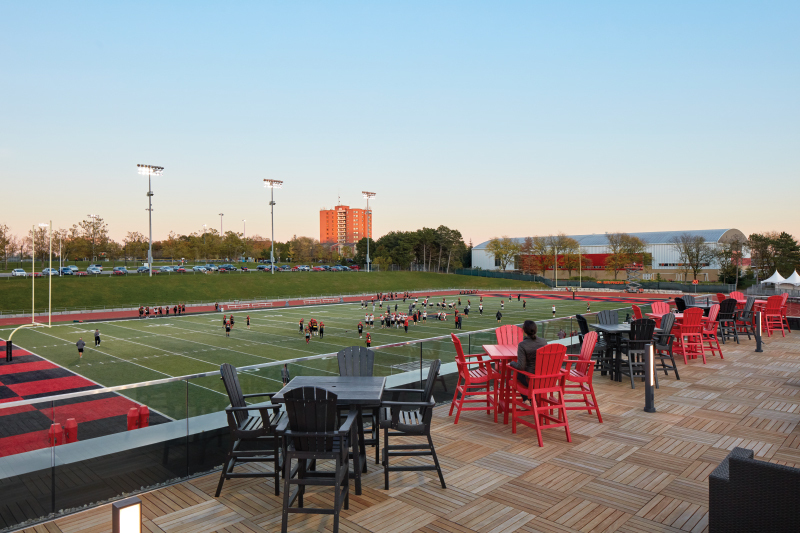 concerts, receptions, conferences and catered events. 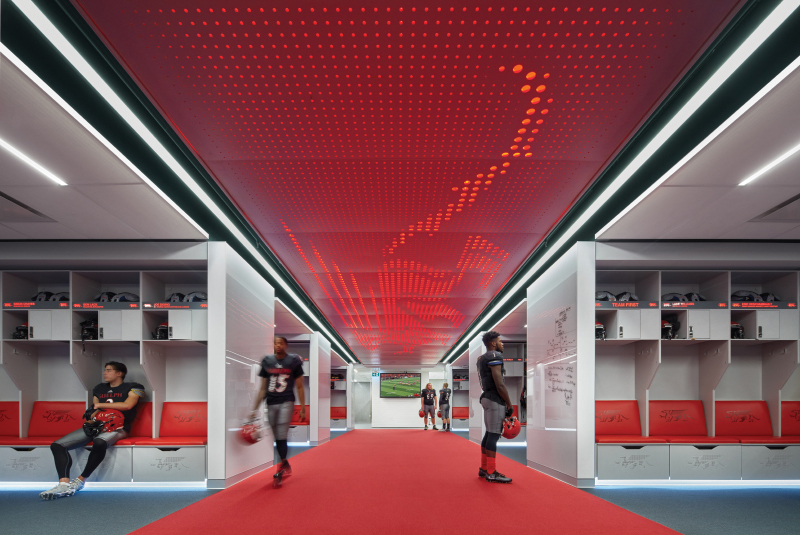 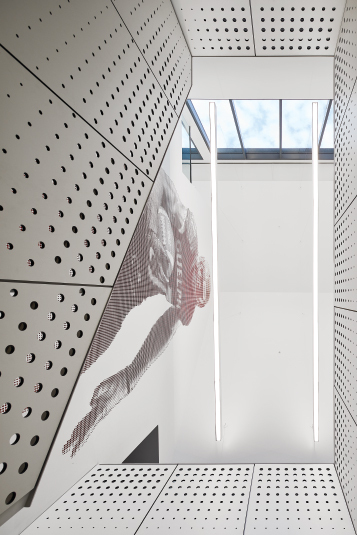 elements such as the backlit perforated Gryphon-graphic ceiling. 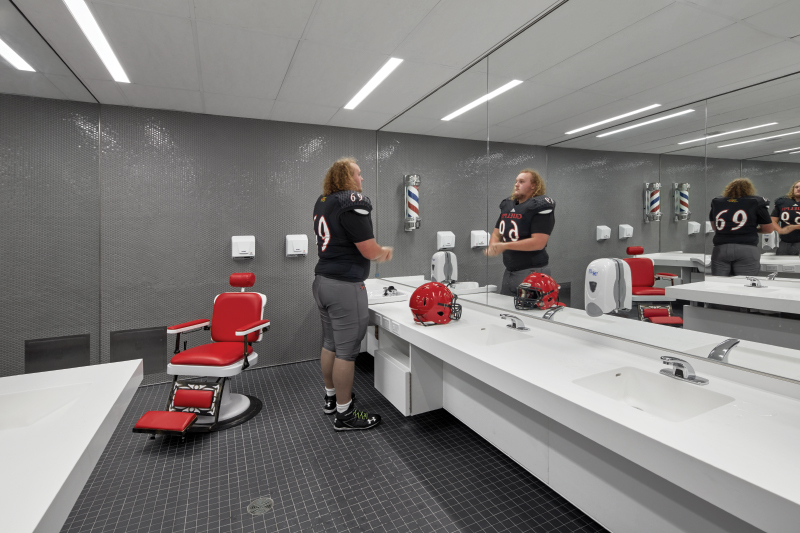 Locker/Shower - Shower/Toilet Partitions: Hadrian Inc. 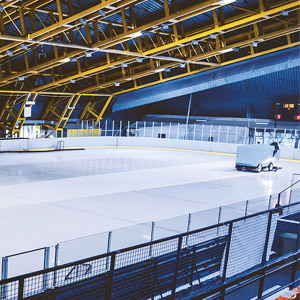 Pools - Lane Markers: Kinematics Ltd.